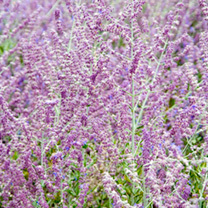 Perovskia 'Blue Spire' is an RHS Award of Garden Merit winner and is sometimes referred to as Perovskia atriplicifolia 'Blue Spire'. It belongs to the Lamiaceae family. 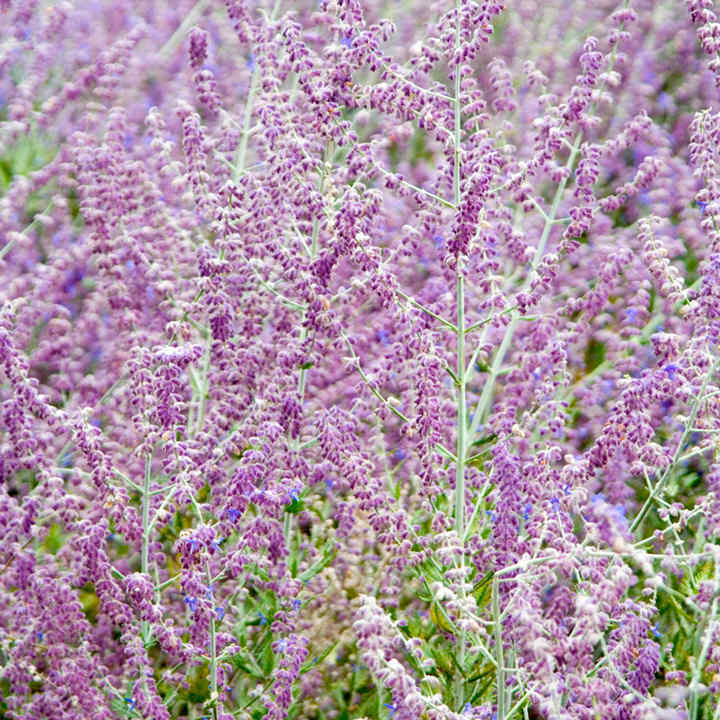 Its spires of almost electric purple and blue flowers in late summer complement silver-grey foliage. Perovskia 'Blue Spire' makes a stunning impact, working well with grasses, or alongside a path where its aromatic foliage scents the air. It works well in a mediterranean border, a coastal garden or as part of a meadow scheme. It even looks impressive in winter, with its mass of white stems. It grows best in full sun, preferring well drained soils. It can get a little leggy, so worth pruning in late winter to encourage bushier growth. Supplied in a 2 litre pot.